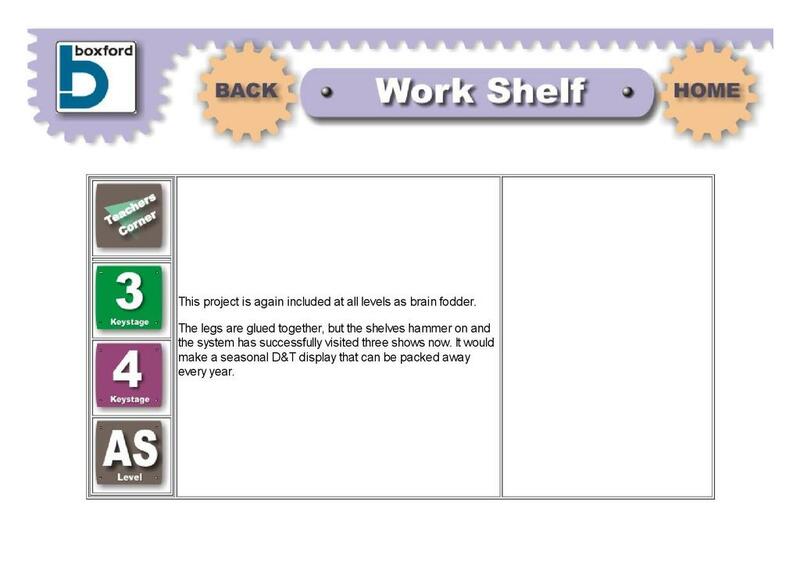 This resource from Boxford describes the creating of a set of shelves using CAD files and a CNC router. It contains a description of the development of the shelving, and a collection of CAD files for the project. Photographs show the shelving before and during use. Different uses are then shown such as tool storage, an information desk and as a stand for up to four keyboards in a music room. Curriculum links include the use of CAD/CAM in the designing and making process, furniture production and sourcing of materials.